A gift to his wife who loved whales, this mammoth mammal was built by Hugh Davis. He was purposefully set in a large pond with a slide jutting out from his side and a diving board affixed to his posterior - thus quickly becoming a local favorite among the young locals. He was the first in a series of structures that Davis built for his little homegrown amusement park which sadly closed in the 1980s as his health was failing. 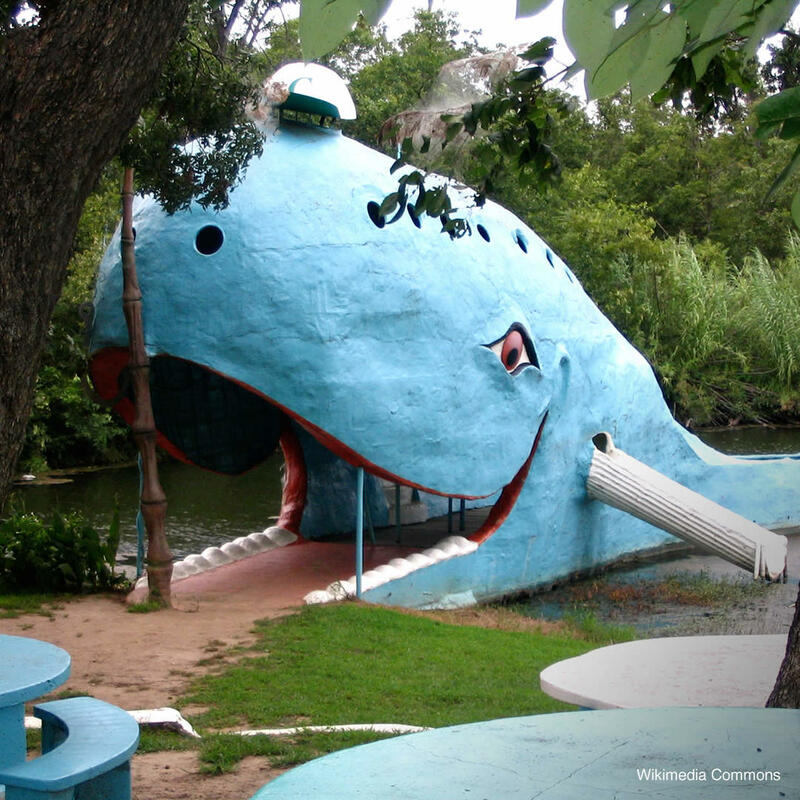 Funded by donations, the Blue Whale was restored and now is once again kept company by visitors.